Oscar Arnulfo Romero was born on August 15, 1917 in Ciudad Barrios, a small town in the Province of San Miguel, El Salvador. He began his religious career pursuing studies in San Salvador and Rome. In 1967 he was appointed Auxiliary Bishop to Archbishop Luis Chavez y González, in the Archdiocese of San Salvador. 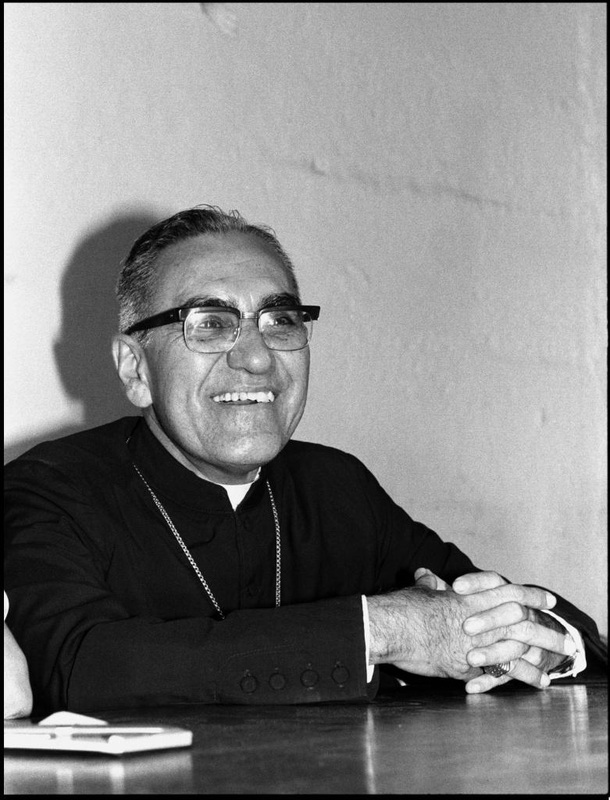 At the beginning of 1977, in the midst of violence, repression and political confusion, Romero was chosen to succeed Archbishop Chávez. Once Romero became Archbishop of San Salvador, he began to truly understand the injustice and repression against innocent people. He became the spokesperson of thousands of poor Salvadorans and those persecuted by the military. Soon after becoming Archbishop, Romero’s close friend, Father Rutillo Grande, was assassinated by a paramilitary death squad. This had a dramatic and profound effect on Romero’s life, changing him from a status quo moderate to a fierce activist against injustice. Father Grande’s assassination resulted in Romero’s determination to redefine the nature of the Church as the defender of the poor and to denounce from the pulpit the evils of state-supported death squads. As a gesture of solidarity with the preachings of Father Grande, Archbishop Romero refused to appear in any public ceremonies with army or government personnel until the true nature of his friend’s murder was brought out and true social change begun. Never before had such a high-ranking Church leader made such a bold movement. Archbishop Romero became the voice and conscience of El Salvador. His words and actions were heard internationally. His fight for human rights led to his nomination for the Nobel Peace Prize. He spoke words of peace, but they were a threat to the tyrannical policies of the government. With the world as a witness, it was harder to terrorize, torture and murder, so thought the Archbishop. The three years Romero was Archbishop were a period of horror to El Salvador. 1979 and 1980 were perhaps the worst period in the history of the country. Security forces began a mass campaign of violence where death squads had the mission of "cleaning up" whatever or whoever became troublesome. During the first months of 1980, there was one assassination every three days. Archbishop Romero could do no more than denounce the atrocious events and pray for peace in his country. His opposition to violence and repression came to a climax on March 23, 1980. During his Sunday homily, he called the National Guards to obey the law of God and not the law of their superiors who were ordering them to kill their sisters and brothers. "In the name of God and in the name of this suffering people....I plead with you, I beg you, I order you in the name of God: put an end to this repression!" Shortly after this call came his enemies' reaction: on Monday, March 24, Romero was assassinated while celebrating mass at the small chapel of the Divine Providence Hospital in San Salvador. As he elevated the Eucharist, a shot from the back of the church struck him in his chest, killing his instantly. An unyielding determination to do what was right, true and just was the guiding principle for Archbishop Oscar Romero. He sacrificed his life for peace, a peace found in human rights and assurances of basic dignities. He told the world about all the people who had been tortured and slaughtered and in the process, became a victim himself. Romero’s spirit lives on and his teachings remain. The people of the world must remember him and continue to strive for the realizations of his dream: truth, justice, dignity and human rights. Oscar Romero was canonized as a saint on October 14, 2018.